Ashenfelter was arrogant, erudite, witty, impulsive, self-interested, reflective, and deeply intellectual. His voice is like none other in the published primary source literature of the Civil War era. He later became a newspaper editor and the US attorney for the Territory of New Mexico. The letters’ recipient, Samuel W. Pennypacker, became the 23rd governor of Pennsylvania. 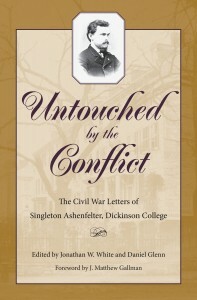 Covering the years 1862–1865, Ashenfelter’s correspondence reveals the inner world of a circle of friends while they mature into adulthood as he touches on topics that are of interest to scholars of 19th-century America, including romance, religion, education, social life, friendship, family, and the war. 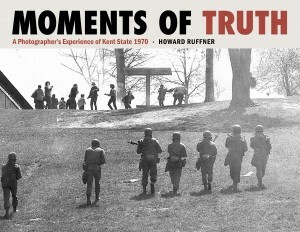 EditorsJonathan W. White is associate professor of American Studies at Christopher Newport University and the author or editor of nine books, including “Our Little Monitor”: The Greatest Invention of the Civil War, with Anna Gibson Holloway. Daniel Glenn is the author of several articles on the Civil War era that have appeared in Military Images, the Federal Lawyer, and Civil War Navy.